Once upon a time the FBI fought the KKK, sabotage, mobsters, most wanted criminals and money laundering. In 2016 the FBI declared war on the President Elect of the United States, his family and his Administration. The FBI war was lawless, full of hatred, corruption and determination to overthrow the government. When J. Edgar Hoover became Director of the FBI he had a wholesale firing of Agents and transformed the Bureau into a professional organization. Although it is clear to the American Public that the FBI has transformed into a Den of Thieves and Corruption, only Comey has been fired. Jeff Sessions, the attorney general, has emerged from his hidey hole to notice that the FBI has run amok, and said he would “leave no stone unturned” to find the five months of missing texts. In a statement, the bureau admitted to receiving a call from a person close to Cruz who contacted the FBI through its Public Access Line (PAL) tipline to express concerns about his erratic behavior and disturbing social media posts. 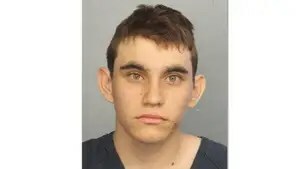 Cruz, 19, opened fire at Marjory Stoneman Douglas High School killing 17 people. The FBI has been involved in Investigations of Arkansas Legislators and who knows who else for a long time. A former Arkansas State Representative secretly recorded anyone he felt the FBI might be interested in for most of 2016. The recordings amounted to about 140 hours of conversations. Oops, an FBI Agent wiped the recordings from his laptop. That resulted in delays in the trial. Supposedly, the files have been recovered but will the long arm of justice ever reach as far as the Arkansas politicians? What would it take for you to reach the personal realization that there is corruption even in the FBI?